Various industrial & corporate premises have gained an extra aesthetic value & security at the same time with the use of Avians wide range of opening gates called RETRACTABLE GATES. These gates are best suited for the openings facing space constraints or do not have parking space. Along with that if there is a need to divide an area or a partition is required to be done for the internal premises of a campus these gates are surely the optimum available solution. Retractable Gates are constructed in such a way that their kinematic links are joined together to have to-and-fro contracting & expanding motion with respect to each other. They can be made available in single or two bottom rails for its expanding and retracting motion. Symbolizing high standard appearance RETRACTABLE GATES are made of high strength metals which provide flexibility, durability & protection as well. Ideally used for big corporate houses, factories, and industrial enterprises, shopping centre, and stadium main entries. 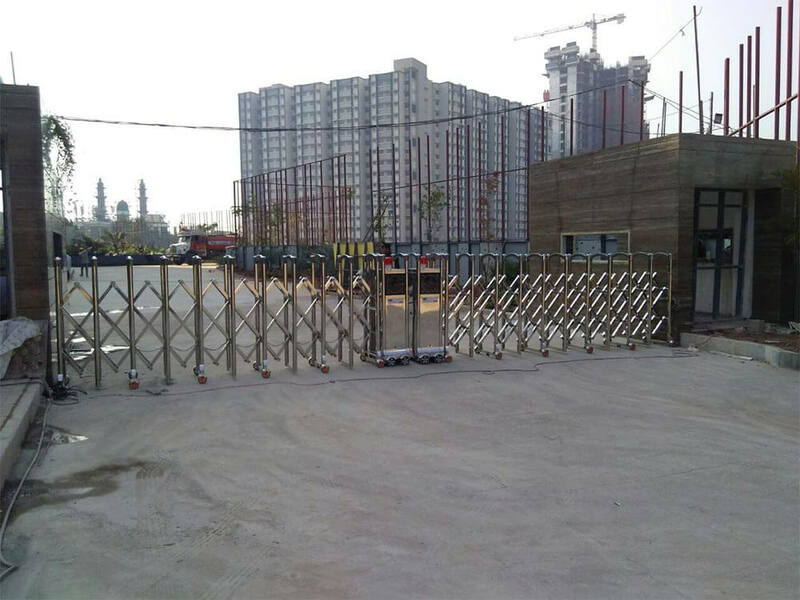 Folding gates are suitable to restrict pedestrian entry/exit. Designed to work even under extreme climatic situation. Retractable gates are available in S.S/Aluminium material. Wide range of choice for gate design & patterns. 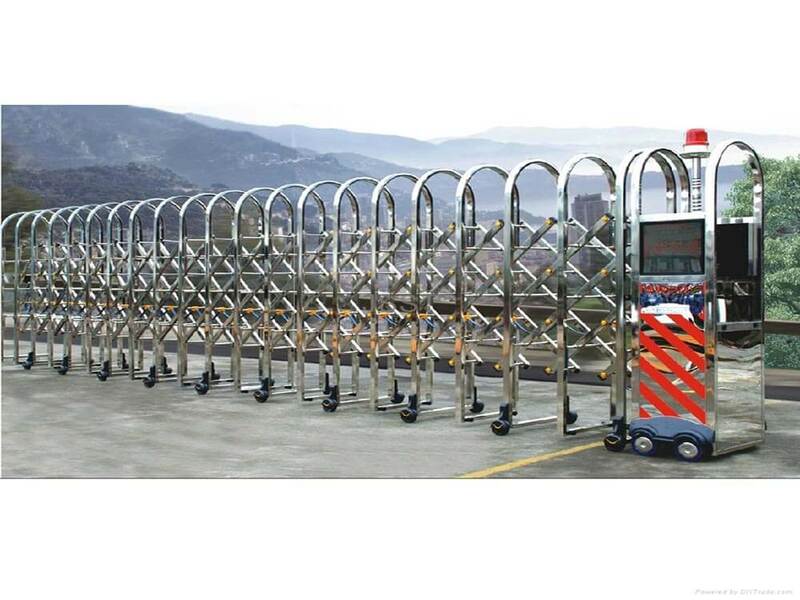 Tracked or trackless gates can be provided as per the customized or site requirement. Drive and control unit can be integrated with various accessories to operate the retractable gates. Bottom guiding track Single Track. Double Track recommended for Gate Width greater than 7 meters. Trackless recommended for Gate Width less than 8 meters.